By the summer of 1859, Brown had finalized his plans. 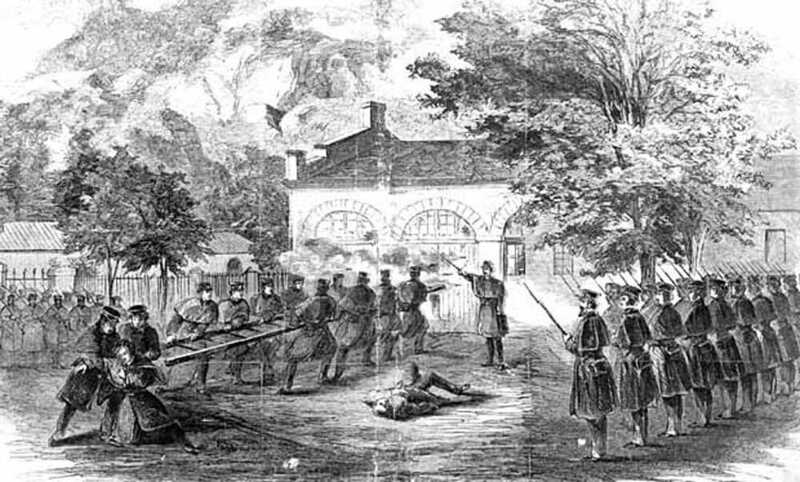 His target was the federal arsenal at Harpers Ferry, Virginia — a town surrounded by mountains, tucked at the bottom of a ravine created by a pair of rivers. The arsenal was a huge complex of buildings that contained 100,000 muskets and rifles. Brown tried to persuade his friend Frederick Douglass to join him. He described the scenario: They would attack the arsenal at Harpers Ferry and capture the guns. Emboldened by the news, a spontaneous army of slaves would rush to join them. They would then drive south, and the revolution would snowball. Of this meeting, Douglass would later write: "I at once opposed the measure. It would be an attack upon the federal government and array the whole country against us. All his descriptions of the place convinced me that he was going into a perfect steel trap, and that once in he would never get out alive." Brown found 21 men to join him. In a farmhouse a few miles outside of Harpers Ferry, the small army gathered and waited for the time to strike. The group included a fugitive slave, a college student, and free blacks. Three of the men were Brown’s sons. On the evening of October 16, Brown gathered his men together and set out for Harpers Ferry. At first the raid went like clockwork. They cut telegraph wires, then easily captured the federal armory and arsenal, which was being defended by a lone watchman. They rounded up hostages, including Col. Lewis Washington, great-grand-nephew of George Washington. Their problems began when a train approached town. The baggage master ran to warn the passengers. Brown’s men shouted at him to halt, then fired. The first victim of John Brown’s war against slavery was Hayward Shepherd, a free black man. Then, inexplicably, Brown allowed the train to continue on its way. News of his raid made its way to Washington by late morning. Farmers, militiamen, and shopkeepers took potshots down at Brown’s men from the heights behind town. The raiders were pinned down in the armory buildings. As shots rang off the walls, John Brown quietly ordered breakfast from a hotel for his hostages. Historian Dennis Frye comments: "Brown still controls his own destiny. 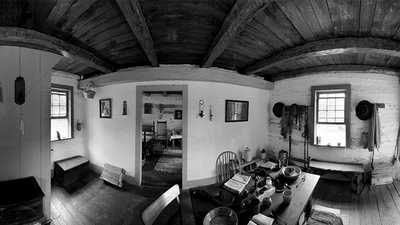 He commands the approaches in and out of Harpers Ferry.… So the question is, why didn’t John Brown leave?" "He stayed and he stayed and it seems to me a deliberate, resigned act of martyrdom," says author, Russell Banks. Whatever his intention, John Brown’s revolution was coming apart. At noon, a company of militiamen stormed into town. They charged over the bridge, and the only true escape route was gone. Eight raiders were dead or dying; five others were cut off. Two had escaped across the river. Brown gathered those who were left in a small brick building, the engine house. The next morning, the raiders gazed out on a chilling sight: the armory yard was lined with a company of U.S. Marines, under the command of Lt. Col. Robert E. Lee. They were completely surrounded. A young lieutenant, J.E.B. Stuart, approached under a white flag. Stuart handed over a note: if the raiders surrendered, their lives would be spared. Brown refused. Marines stormed the building; the door was breached. One Marine tried to run Brown through, but the blade struck the old man’s belt buckle. Brown was then beaten unconscious. "If Brown had died on that brick floor in that engine house," says Dennis Frye, "I believe he would’ve been noted in history, but only with a few sentences. Maybe even only a footnote. Brown’s real effect came in his failure at Harpers Ferry. His real meaning is in what happens after his capture." 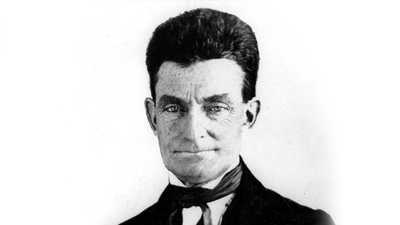 John Brown was taken to Charlestown, Virginia along with four other captives. 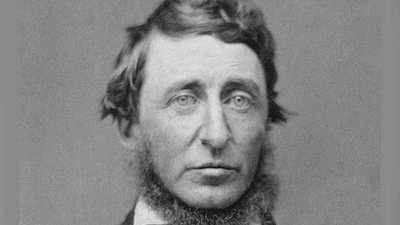 His statements during his trial reached the nation, inspiring many with his righteous indignation toward slavery. The hanging would make Brown an abolitionist martyr.